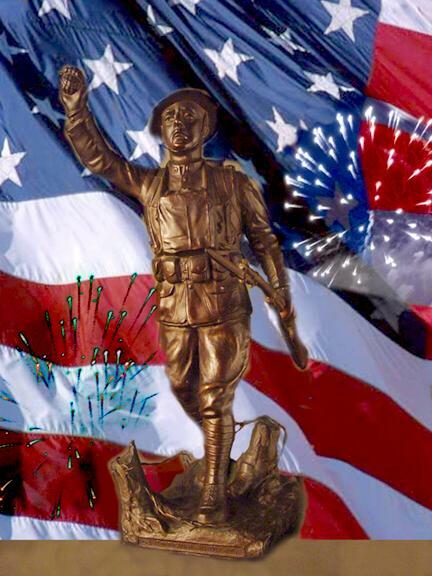 Copyright 2003, Doug Blevins. Used by permission. 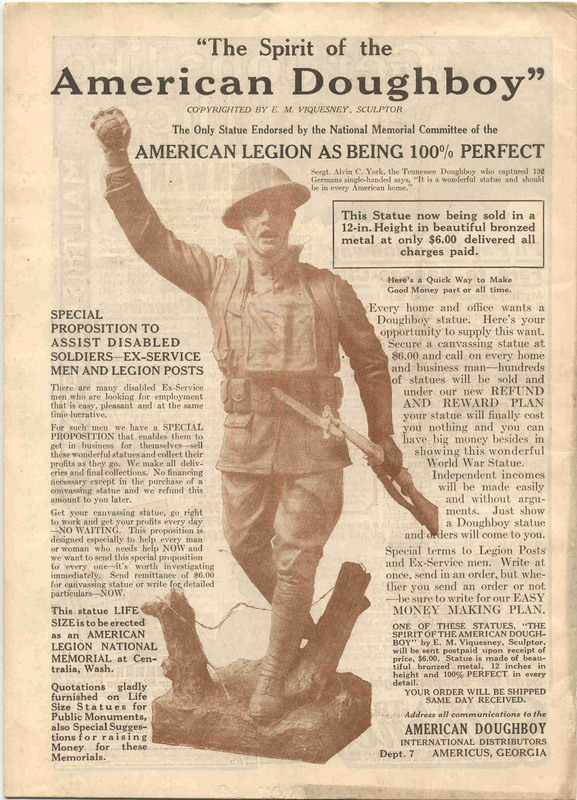 Viquesney targeted ex-servicemen in magazines like American Legion Weekly (later Monthly), both as potential customers and as sales agents. 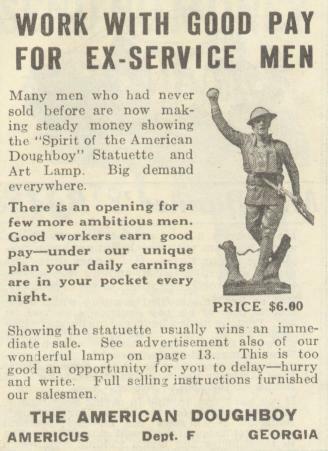 Below are some representative ads for the rather common 12" and rare 6" desktop Doughboy statuettes (which were really only 11.5" and 5.75" tall, respectively). 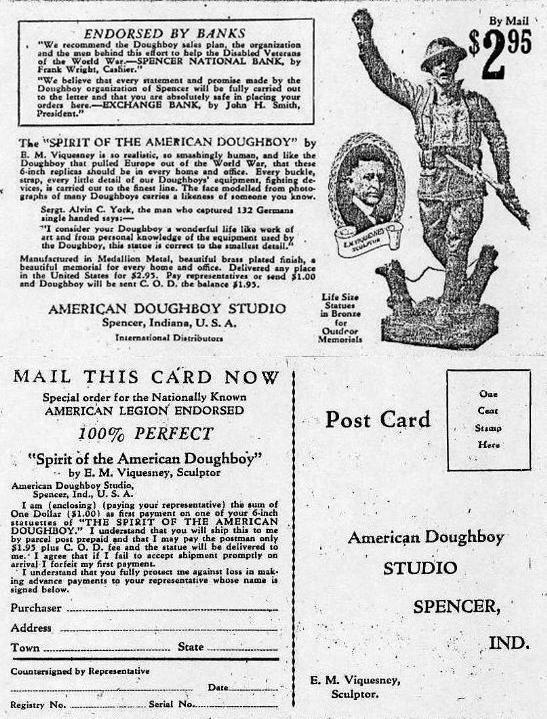 Click on the thumbnails below to view ads from for the desktop Doughboy statuette. 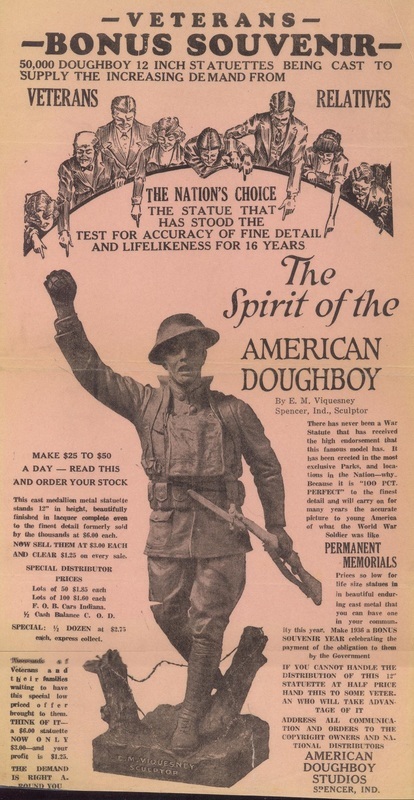 A postcard ad for the rare 6'' Doughboy,published shortly before Viquesney's death in 1946. 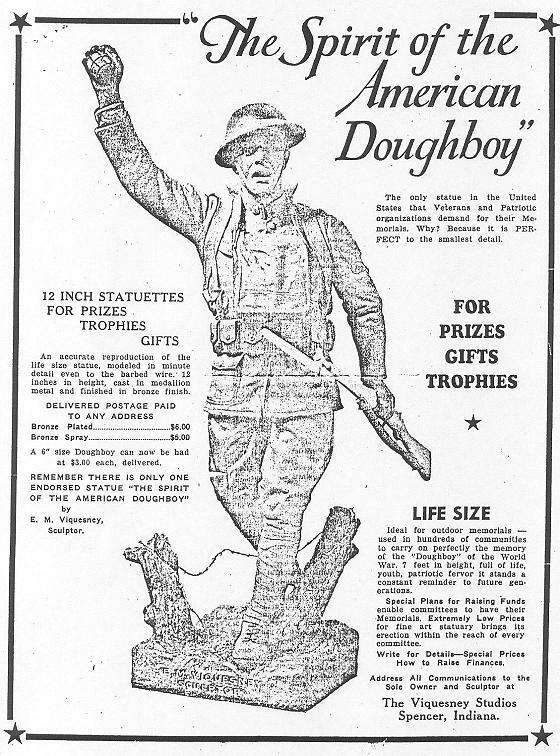 Click on the thumbnails above to view ads from for the desktop Doughboy statuette. 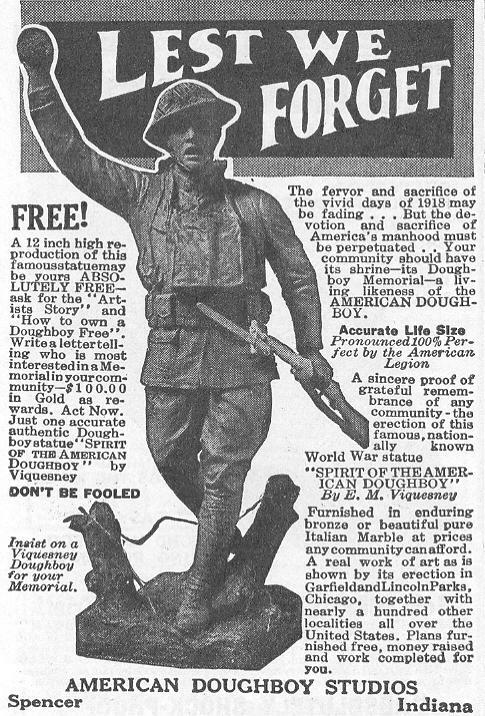 A "pre-release" ad published in the Washington, D,C. 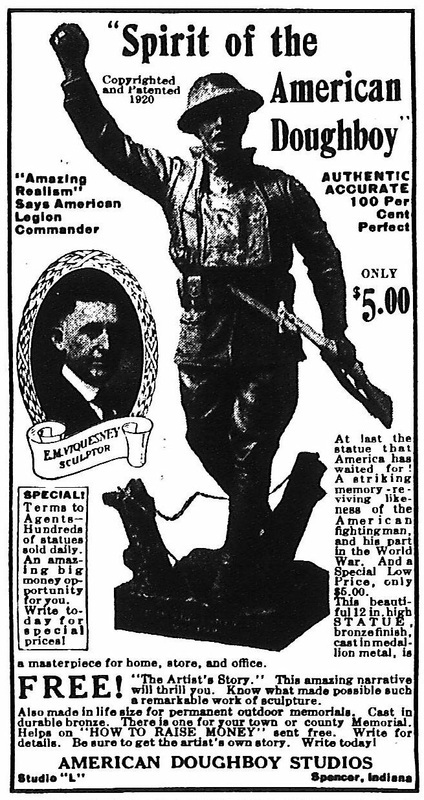 Evening Star, July 31, 1921, looking for "agents" to sell the Viquesney miniature Doughboy. The items began shipping the following month.